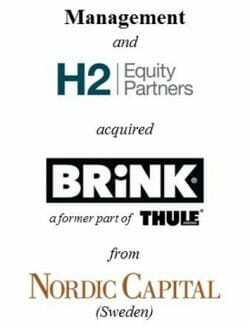 When selling a company to an investment company (private equity), management is often expected to co-invest. This can form an attractive investment opportunity for management, but success cannot be taken for granted. This kind of transaction is generally complex with numerous aspects to be taken into account, including financial, legal and fiscal matters. Furthermore, the position of management is delicate. The management team must, on one hand, protect the interests of the vendor and the company and, on the other hand, as a co-investor, invest on attractive terms and conditions. Personal exposure and financial commitment of managers are considerable. If the process is successful, however, this will be rewarded with a prospect of attractive proceeds, if and only if the transaction has been structured correctly. PhiDelphi has extensive experience in guiding management teams in this type of transaction, especially in optimising the terms and conditions for management. With our own financial models, we simulate the intended transaction structure in order to become an equally informed negotiation partner as the investment company. In this way we effectively create a level playing field for management in negotiations with the buying investment company. This approach results in carefully balanced agreements with the investment company, from a financial, a legal and a fiscal perspective. Over the past few years, PhiDelphi has assisted a large number of management teams in numerous sectors and in very diverse transaction structures. We have developed an eye for the differences in approach between investment companies, both national and international. We not only protect the financial and other interests of management, but are also able to support management in an intense and often difficult process. PhiDelphi has vast experience in assisting management teams. 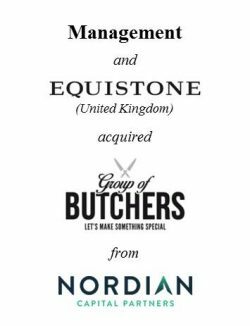 We have assisted, among others, the management teams of Group of Butchers, Brink Trekhaken, Van Hessen and Excent in a transaction co-investing with investment firms. Investment companies have extensive experience with structuring a management participation, while management teams often lack any relevant experience with this. Management teams therefore benefit greatly from our preparation and support for the upcoming negotiations with the investment companies. Based on our own financial models, we are able to simulate the proposed transaction structure and calculate various outcomes as preparation for the negotiations. 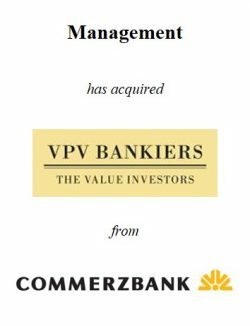 Next, we will join the management team in the negotiations with the investment companies. Diverse conflicts of interests occur during the investment process, as the management team is both buyer and vendor. Where does management’s loyalty lie? And when does management move from being vendor to being buyer? 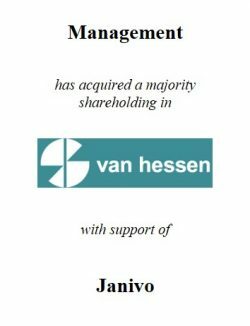 What can the management team reasonably expect from its former (co-)shareholders and what can be expected from the new ones? Likewise, what can be expected from the management team? Are the conditions offered by an investment company in line with market practice? Is the company not over-leveraged with debt? In order to achieve a good transaction, management will greatly benefit from independent expertise and from a knowledgeable soundboard throughout sales process. Investment companies use very diverse transaction structures to provide management teams with an interest in the company in an attractive way. This gives co-investing management team members an opportunity to gain above-average returns, but also additional obligations. PhiDelphi supports management in reaching balanced agreements for management teams and investment companies. Apart from the financial agreements, management must also agree with the investment company on numerous legal matters. What happens if you suddenly resign? Can you leave the company to work for a competitor after selling your shares? What responsibilities and obligations do you have when the company is sold in the future? PhiDelphi has vast experience with these issues. We will gladly support you and ensure a good balance between the financial and legal arrangements, so that they jointly form an attractive investment opportunity for you.